Tsunamigenic earthquakes along the Alaska–Aleutian megathrust pose a major threat to many rural coastal communities in Alaska. To mitigate the impact of tsunamis and minimize loss of life, maximum potential runup and tsunami hazard zones need to be estimated despite a lack of the high-resolution digital elevation models. In this manuscript we present a methodology to approximate tsunami hazard zones in areas with poor topographic and bathymetric coverage. To manage a trade-off between the computational complexity and lack of quality data, we develop three scenario earthquakes with the intention that one of them characterizes impacts of a credible worst-case event. We then apply a safety factor to account for the limited number of considered scenarios and a coarse resolution elevation model used to simulate water dynamics near the community. The developed methodology is illustrated using a case study focused on the community of Adak, in the Andreanof Islands, Alaska. To validate the proposed method, we explore sensitivity of tsunami height with respect to the coseismic slip distribution and develop a comprehensive set of credible worst-case scenarios for the community. The tsunami hazard zone, developed with the use of the safety factor, is validated against high-resolution modeling of potential inundation according to the set of worst-case scenarios in a number of other coastal communities. This project, which is part of the National Tsunami Hazard Mitigation Program (NTHMP), received support from the National Oceanic and Atmospheric Administration (NOAA) under Reimbursable Services Agreement ADN 952011 with the State of Alaska’s Division of Homeland Security & Emergency Management (a division of the Department of Military and Veterans Affairs). Numerical calculations for this work were supported in part by the high-performance computing and data storage resources operated by the Research Computing Systems Group at the University of Alaska Fairbanks, Geophysical Institute. We are grateful to Peter Haeussler (USGS), Ahmet Yalciner (METU) and Jeffrey Freymueller (UAF) for their helpful suggestions and review of potential tsunami sources that helped to improve the manuscript. Applied Technology Council. (2012). Guidelines for design of structures for vertical evacuation from tsunamis, second edition: Redwood City, CA, Applied Technology Council Technical Report FEMA P-646, prepared for Federal Emergency Management Agency (FEMA) National Earthquake Hazard Reduction Program (NEHRP) and National Oceanic and Atmospheric Administration (NOAA) National Tsunami Hazard Mitigation Program (NTHMP). https://www.fema.gov/media-library/assets/documents/14708. Accessed 29 Mar 2019. Butler, R. (2014). Great Aleutian tsunamis. 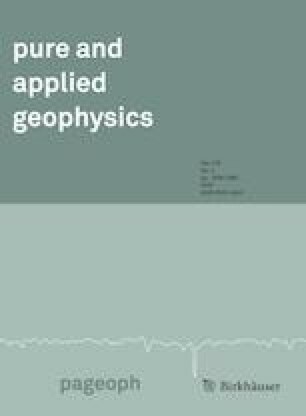 Honolulu, HI, University of Hawai’i at Manoa, Hawai’i Institute of Geophysics & Planetology, Peer-Reviewed Report HIGP-2014-1. http://www.higp.hawaii.edu/reports/2014. Accessed 29 Mar 2019. Carignan, K. S., Taylor, L. A., Eakins, B. W., Warnken, R. R., Medley, P. R., & Lim, E. (2009). Digital elevation model of Adak, Alaska—Procedures, data sources and analysis. National Oceanic and Atmospheric Administration Technical Memorandum NESDIS NGDC-31, U.S. Dept. of Commerce, Boulder, CO. http://www.ngdc.noaa.gov/dem/squareCellGrid/download/258. Accessed 29 Mar 2019. Carignan, K. S., Eakins, B. W., Lancaster, M., Loveand M. R., & Sutherland, M. (2017). Digital elevation models of Adak and Atka, Alaska: Procedures, data sources, and analysis. National Oceanic and Atmospheric Administration Technical Report, U.S. Dept. of Commerce, Boulder, CO. http://ciresgroups.colorado.edu/coastalDEM/pubs. Accessed 29 Mar 2019. Kirby, S., Scholl, D., von Huene, R., & Wells, R. (2013). Alaska earthquake source for the SAFRR tsunami scenario, chapter B. In S. L. Ross, & L. M Jones (Eds. ), The SAFRR (Science Application for Risk Reduction) Tsunami Scenario: U.S. Geological Survey Open-File Report 2013–1170. http://pubs.usgs.gov/of/2013/1170/b/. Accessed 29 Mar 2019. Lander, J. F. (1996). Tsunamis affecting Alaska, 1737–1996. Boulder, CO, National Oceanic and Atmospheric Administration (NOAA), National Geophysical Data Center (NGDC), Key to Geophysical Research Documentation, vol. 31. ftp://ftp.ngdc.noaa.gov/hazards/publications/Kgrd-31.pdf. Accessed 29 Mar 2019. Lim, E., Eakins, B. W., & Wigley, R. (2011). Coastal relief model of southern Alaska—Procedures, data sources and analysis. National Oceanic and Atmospheric Administration (NOAA) Technical Memorandum NESDIS NGDC-43. https://www.ngdc.noaa.gov/mgg/coastal/s_alaska.html. Accessed Mar 2019. National Centers for Environmental Information (NCEI)/World Data Service (WDS). (2019). Global historical tsunami database at NGDC, 2100 BC to present (interactive map): National Geophysical Data Center, NOAA. http://doi.org/10.7289/V5PN93H7 (in progress). National Tsunami Hazard Mapping Program (NTHMP). (2012). Proceedings and results of the 2011 NTHMP model benchmarking workshop. Boulder, CO, U.S. Department of Commerce/NOAA/NTHMP, NOAA Special Report. http://nthmp.tsunami.gov. Accessed 29 Mar 2019. Nicolsky, D. J., Suleimani, E. N., Combellick, R. A., & Hansen, R. A. (2011a). Tsunami inundation maps of Whittier and western Passage Canal, Alaska. Alaska Division of Geological & Geophysical Surveys Report of Investigation 2011-7. http://doi.org/10.14509/23244. Nicolsky, D. J., Suleimani, E. N., Freymueller, J. T., Koehler, R. D. (2015). Tsunami inundation maps of Fox Islands communities, including Dutch Harbor and Akutan, Alaska. Alaska Division of Geological & Geophysical Surveys Report of Investigation 2015-5, 2 sheets, scale 1:12,500. http://doi.org/10.14509/29414. Nicolsky, D. J., Suleimani, E. N., Haeussler, P. J., Ryan, H. F., Koehler, R. D., Combellick, R. A., et al. (2013). Tsunami inundation maps of Port Valdez, Alaska. Alaska Division of Geological & Geophysical Surveys Report of Investigation 2013-1, 1 sheet, scale 1:12,500. http://doi.org/10.14509/25055. Nicolsky, D. J., Suleimani, E. N., & Koehler, R. D. (2014a). Tsunami inundation maps of Cordova and Tatitlek, Alaska: Alaska Division of Geological & Geophysical Surveys Report of Investigation 2014-1, 49 p. http://doi.org/10.14509/27241. Nicolsky, D. J., Suleimani, E. N., & Koehler, R. D. (2014b). Tsunami inundation maps of the villages of Chenega Bay and northern Sawmill Bay, Alaska. Alaska Division of Geological & Geophysical Surveys Report of Investigation 2014-3, 7 sheets, scale. http://doi.org/10.14509/29126. Nicolsky, D. J., Suleimani, E. N., & Koehler, R. D. (2016a). Tsunami inundation map for the village of Nikolski, Alaska. Alaska Division of Geological & Geophysical Surveys Report of Investigation 2016-7, 1 sheet, scale 1:25,000. http://doi.org/10.14509/29674. Nicolsky, D. J., Suleimani, E. N., & Koehler, R. D. (2016b). Tsunami inundation maps for the communities of Chignik and Chignik Lagoon, Alaska. Alaska Division of Geological & Geophysical Surveys Report of Investigation 2016-8, 2 sheets, scale 1:12,500. http://doi.org/10.14509/29675. Nicolsky, D. J., Suleimani, E. N., & Koehler, R. D. (2017). Tsunami inundation maps for the city of Sand Point, Alaska. Alaska Division of Geological & Geophysical Surveys Report of Investigation 2017-3, 4 sheets, scale 1:15,000. http://doi.org/10.14509/29706. Ross, S. L., Jones, L. M., Miller, K., Porter, K. A., Wein, A., & Wilson, R. I. et al. (2013). SAFRR (science application for risk reduction) tsunami scenario—Chapter A, executive summary and introduction. In: S. L. Ross, & L. M. Jones (Eds. ), The SAFRR Tsunami Scenario: U.S. Geological Survey Open-File Report 2013–1170 (pp. 1–17). http://pubs.usgs.gov/of/2013/1170/. Suleimani, E. N., Nicolsky, D. J., & Koehler, R. D. (2013). Tsunami inundation maps of Sitka, Alaska. Alaska Division of Geological & Geophysical Surveys Report of Investigation 2013-3, 1 sheet, scale 1:250,000. http://doi.org/10.14509/26671. Suleimani, E. N., Nicolsky, D. J., & Koehler, R. D. (2015). Tsunami inundation maps of Elfin Cove, Gustavus, and Hoonah, Alaska. Alaska Division of Geological & Geophysical Surveys Report of Investigation 2015-1. http://doi.org/10.14509/29404. Suleimani, E. N., Nicolsky, D. J., & Koehler, R. D. (2017). Updated tsunami inundation maps of the Kodiak area, Alaska. Alaska Division of Geological & Geophysical Surveys Report of Investigation 2017-8, 10 sheets. http://doi.org/10.14509/29740. Suleimani, E. N., Nicolsky, D. J., Koehler, R. D., Freymueller, J. T., & Macpherson, A. E. (2016) Tsunami inundation maps for King Cove and Cold Bay communities, Alaska. Alaska Division of Geological & Geophysical Surveys Report of Investigation 2016-1, 2 sheets, scale 1:12,500. http://doi.org/10.14509/29565. Suleimani, E. N., Nicolsky, D. J., & Salisbury, J. B. (2018). Updated tsunami inundation maps for Homer and Seldovia, Alaska. Alaska Division of Geological & Geophysical Surveys Report of Investigation 2018-5, 4 sheets. http://doi.org/10.14509/30095. Suleimani, E. N., Nicolsky, D. J., West, D. A., Combellick, R. A., & Hansen, R. A. (2010). Tsunami inundation maps of Seward and Northern Resurrection Bay, Alaska. Alaska Division of Geological & Geophysical Surveys Report of Investigation 2010-1, 3 sheets, scale 1:12,500. http://doi.org/10.14509/21001. Synolakis, C. E., Bernard, E. N., Titov, V. V., Kânoğlu, U., & González, F. I. (2007). Standards, criteria, and procedures for NOAA evaluation of tsunami numerical models: Seattle, WA, NOAA/Pacific Marine Environmental Laboratory, Technical Memorandum OAR PMEL-135. http://www.pmel.noaa.gov/pubs/PDF/syno3053/syno3053.pdf. Accessed 29 Mar 2019.